I have been transferring some of my old files onto USB key, and I came across this piece, which I read to the G.K. Chesterton Society of Ireland in 2010. It's available on the G.K. Chesterton Society of Ireland blog, which hasn't been updated since 2015, but I thought I would post it there, too, for anyone who hasn't seen it. Since this is the GK Chesterton Society of Ireland, there could be hardly a subject more appropriate than Chesterton and Ireland. Chesterton wrote a great deal about Ireland, so all I can offer here is a few observations, and is in no way comprehensive. 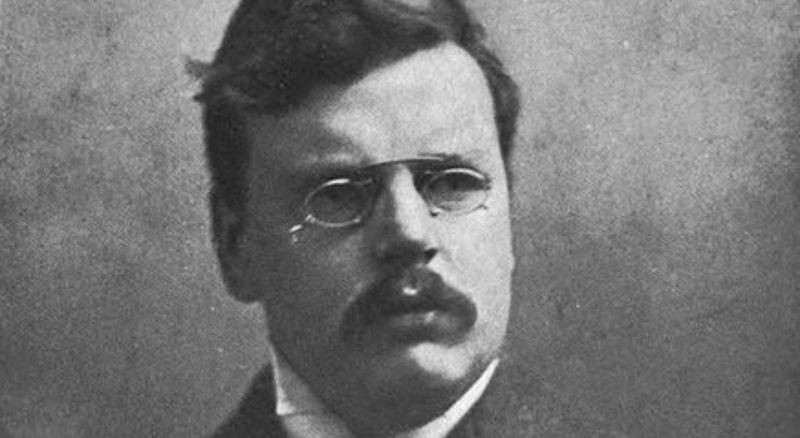 Ireland played an important role in Chesterton’s life. His most famous literary creation, the detective-priest father Brown, was based upon an Irish Catholic priest, Father John O’Connor—the very priest who received Chesterton into the Catholic Church in 1922. The ceremony took place in a shed with a corrugated tin roof, since Battersea—where Chesterton lived—had no Catholic Church of its own. W.B. Yeats was another Irish writer who Chesterton admired immensely and often quoted, often in passing and without attribution—which is surely the best form of tribute to any writer. He described him as “by far the greatest poet who has written in English for decades”. And to borrow the title of one Yeats’s works, it may be argued that Chesterton viewed Ireland as the land of heart’s desire. 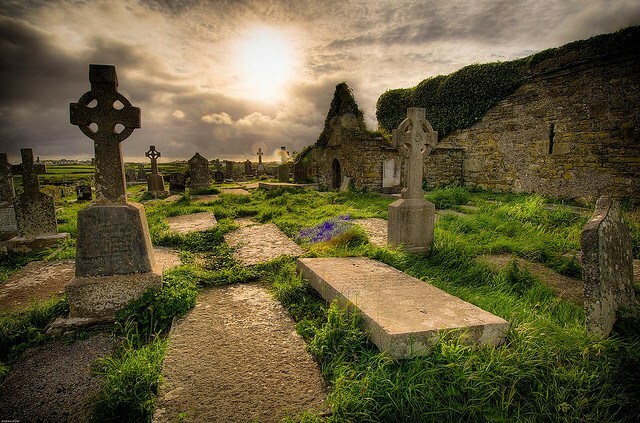 Ireland was, it may be said, an embodiment of everything he admired—it was a piously Catholic country, it was a land of small farmers that had been relatively untouched by industrialisation and big business, and it was small. These people professed that the universe was one coherent thing; but they were not fond of the universe. But I was frightfully fond of the universe and wanted to address it by a diminutive. I often did so; and it never seemed to mind. Actually and in truth I did feel that these dim dogmas of vitality were better expressed by calling the world small than by calling it large. For about infinity there was a sort of carelessness which was the reverse of the fierce and pious care which I felt touching the pricelessness and the peril of life. They showed only a dreary waste; but I felt a sort of sacred thrift. For economy is far more romantic than extravagance. To them stars were an unending income of halfpence; but I felt about the golden sun and the silver moon as a schoolboy feels if he has one sovereign and one shilling. In his much-admired novel, The Napoleon of Notting Hill—incidentally, this was said to be a book that Michael Collins admired—he evokes a London divided into tiny principalities, and his pleasure in describing the flags and heraldry and cermonies they employ is obvious. He was a staunch defender of the family, and a lifelong enemy of Imperialism. One of his famous tropes was the story of St. George fighting the dragon. His famous long poem, The Ballad of the White Horse, describes the battle of King Alfred against the Danes. It is perhaps significant that this occurred at a time when Christian England had shrunk to a portion of the country, the rest of it occupied by the Danelaw of the pagans. It is irreverent to suppose that Chesterton secretly wished to trim a dozen or counties so from the edges of England, but he was a lifelong Little Englander—in the best sense of that term—and he was opposed to the Empire not only for the oppression it inflicted on other peoples, but for the unwelcome grandeur and pomp it bestowed on his own country. To Chesterton, the true England was the England of Chaucer, not the England of Kipling and Sir Henry Newbolt. It should be remembered that his opposition to Imperialism, which we presume would be de rigeur to an intellectual, came at a time when British Imperialism was highly respectable amongst the cultured classes—even progressive writers like Sidney Webb and George Bernard Shaw often supported imperialism, seeing it as a step towards the collectivism of their dreams. 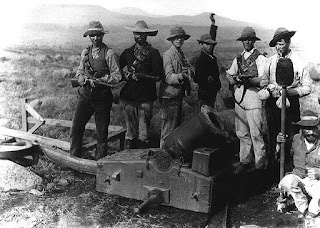 Chesterton came to prominence during the Boer War, when he went against the current of national opinion—both the Liberal and Conservative parties, along with most intellectuals, supported the war. Chesterton, an unknown young journalist at the time, hated the jingoism and triumphalism that the war unleashed amongst the English people. He believed that moneyed interests had driven England to go to war against the South African republics. The parallels with Anglo-Irish history are obvious—and it should also be noted that Chesterton was raised in a liberal family who would have been firm supporters of Gladstone and Irish Home Rule. This love of smallness might seem in contradiction to the second aspect of Ireland that Chesterton admired—its Catholicism. Catholicism is anything but a minority faith, and Protestant England could successfully pose for many centuries as St. George against the Dragon of Catholic Europe. Even though Chesterton, as I have mentioned, did not convert to the Catholic Church until 1922—when he was forty-eighy years old, and after about two decades of championing Christianity against all comers—all of his works are so Catholic in tone that Catholic readers might be surprised to realize that his road to Rome stretched so long. He had a lifelong devotion to the Blessed Virgin, which his biographer and Maisie Ward described as “chronic”, writing odes to her even in his Unitarian boyhod. He was an outspoken admirer of England’s medieval and pre-Reformation past. In any case, the point is that even before his eventual conversion, Chesterton was an essentially Catholic writer, and here is another fascination that Ireland held for him. But it wasn’t just the majority denomination of Ireland that appealed to him. It was the piety of the people. All his life Chesterton praised and appealed to the common man above all cliques and elites—one of his anthologies of essays even bears the title The Common Man. But he was well aware that the common man in England was, already by the time he was writing, not a practicing Christian. 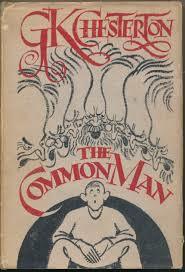 The common man of Ireland, on the contrary, was. This is perhaps the deepest difference between medieval and modern life, and the difference is so great that many never imagine it, because it is impossible to describe it. We may even say that the modern world is more religious, because the religious are more religious….But we may be practically certain that if there is a modern man like the Miller of the Reeve, he has not got any religion at all. He certainly would not go on a religious pilgrimage, or perform any religious duty at all…the modern problem is more and more the problem of keeping the company together at all; and the company was kept together because it was going to Canterbury. Nobody who was been in Dublin for a week as I have been during the Eucharistic Congress can doubt that Ireland is passionately religious; and especially that the Irish populace is passionately religious….Nobody who has lived in England all his life, as I have lived in England, can doubt that modern England, with its many manly and generous virtues, has become largely indifferent to religion. How melancholy it is to read those words today, considering the transformation that has come over our country! Now I do, as a point of personal opinion, believe that the right side of the road was really the right side of the road. That is, I believe it represented the right side of the question; that these little pottering peasants had got hold of the true secret, which is missed both by Capitalism and Collectivism. It is quite true that it was not I, G. K. Chesterton, who pulled the beard of an Irish chieftain by way of social introduction; it was John Plantagenet, afterwards King John; and I was not present. It was not I, but a much more distinguished literary gent, named Edmund Spenser, who concluded on the whole that the Irish had better be exterminated like vipers; nor did he even ask my advice on so vital a point. I never stuck a pike through an Irish lady for fun, after the siege of Drogheda, as did the God-fearing Puritan soldiers of Oliver Cromwell. Nobody can find anything in my handwriting that contributes to the original drafting of the Penal Laws; and it is a complete mistake to suppose that I was called to the Privy Council when it decided upon the treacherous breaking of the Treaty of Limerick. I never put a pitchcap on an Irish rebel in my life; and there was not a single one of the thousand floggings of '98 which I inflicted or even ordered. It is impossible to hear without impatience of the attempt so constantly made among her modern sympathizers to talk about Celts and Celticism. 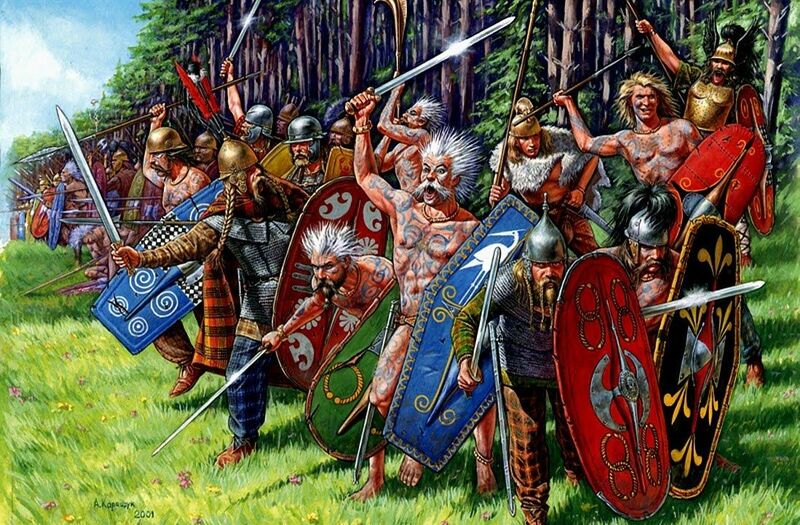 Who were the Celts? I defy anybody to say. Who are the Irish? I defy any one to be indifferent, or to pretend not to know. 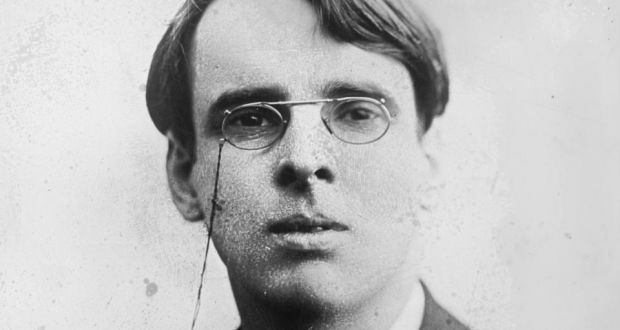 Mr. W. B. Yeats, the great Irish genius who has appeared in our time, shows his own admirable penetration in discarding altogether the argument from a Celtic race. But he does not wholly escape, and his followers hardly ever escape, the general objection to the Celtic argument. To Chesteton, a nation was a spiritual entity, while a race was merely a pesudo-scientific construct. Considering Chesterton’s sympathy with Irish national opinion, it might be a surprise to learn that his longest Irish-themed book, Irish Impressions, published in 1919, drew on Chesterton’s attemps to recruit Irish men into the British Army during the Great War. Chesterton was an enthusiastic supporter of World War One, and remained one until his death. Given Ireland’s massive hostility towards conscription, it is perhaps indicative of Chesterton’s popularity in Ireland that he was treated, as his book shows, with courtesy. Chesterton himself described the idea of Irish conscription as “rank raving madness”; and yet he still appealed to the Irish to volunteer in what he say as a defence of European civilization. He wrote: “If the Irish were what Cromwell thought they were, they might well confine their attention to Hell and Connaught, and have no sympathy to spare for France. But if the Irish are what Wolfe Tone thought they were, they must be interested in France, as he was interested in France. In short, if the Irish are barbarians, they need not trouble about other barbarians sacking the cities of the world; but if they are citizens, they must trouble about the cities that are sacked”. Even today, despite the best efforts of historical revisionism, I think this is an argument that would find few sympathizers in Ireland. He described the Easter Rising in the same book as “a black and insane blunder”, since the Irish had attacked the British Empire at the one moment when its cause happened to be just. “Does anybody”, he wrote, “want to be fixed for ever on the wrong side of the Battle of Marathon, through a quarrel with some Archon whose very name is forgotten?”. Considering the verdict of history on World War One, we may now find a rather bitter irony in the rhetorical question. "To Chesterton, a nation was a spiritual entity, while a race was merely a pesudo-scientific construct." Well, let's remember that demons are also spirits! In all honesty, I don't know if there's anything left to call "Ireland" any more. And not because of the referendum result, but because I don't know if we really have enough of a distinctive culture left now. Moral disintegration can´t last forever even if some would wish so for the proud sake of culture war and jolly jelly anti-Catholicism. I was given "Irish Impressions", republished in 2002 by IHS, a number of years ago for a birthday, or something. Some very good classical paragraphs in it. For some reason it's illustrated with some 1920-21 photos, taken a year after Chesterton had written it and two years after the visit he was detailing. Of course he would have had disappointment with current Ireland, but what would he have said about Britain? One of the main quotes was "... Sympathise with their being in revolt against the British government. I am in revolt against in most ways against the British government"
Sadly, except during World War One, when I really wish he had been. For some reason, it's never been one of my favourite Chesterton books-- it lacks a certain brio, I think. But maybe I'm unfair to it. It's a different thing of course, but I wondered about Australia's involvement and loss of life in the First World War, was it an unnecessary bond with Britain? But a well-known historian has pointed out however that Germany, at this point, held a large portion of New Guinea, so close to the North of Australia. Also,a German war boat came close to Cocos Islands, just before or at the commencement of the war, this is not far from the West and is now Australian territory. So, it was a bit more than a European war that former colonies were bound to. I noticed that expatriate Dublin-based New Zealanders have been holding Anglican or ecumenical style Anzac day commemorations at St Anne's at Dawson street the last few years. Fancy that.